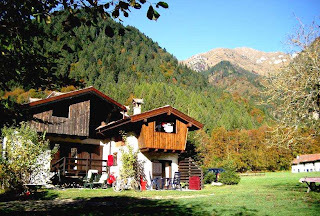 Micha is the only permanent inhabitant of Palò, situated near Lake Ledro, Italy. Palò consists of a dozen of barns, mostly being renewed to summer cottages. According to an owner of a cottage in the village, Micha was thrown out of a car around the new millenium and found a home at the top floor in one of the barns there and had to learn to adapt to living in the wild. In the beginning, in winter, Micha became as skinny as a skeleton each time and when feeding her, she would eat your fingers with it. Now being fully adapted to country-live in the mountains at about 700 meters (2300 Feet), gaining a sharp instinct, she manages to survive the harsh winters as well. In the first years Micha was often being 'raped' by stray cats with numerous kittens as a result. In the third year during a jump from her home at the second floor in order to nurture her kittens, she broke one of her tendons and was unable to get back to her mewing offspring, which resulted in a small drama in Palò. Fortunately tourists later found her and reunited the family. Still Micha limps a bit and the owner of the cottage had her sterilized. Mainly in summer a lot of people will feed Micha with leftovers, but when there is nobody around, Micha's diet consists mainly of small lizards, mice and moles. Although it's over eight years ago now when in most countries in West Europe the Euro came in use overnight at New Year 2002. 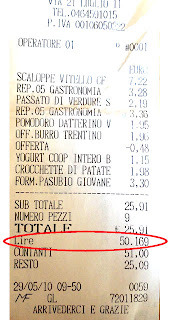 Some shops in Italy are still using the Italian Lira as a reference, probably this is intended for older people still calculating back to their trusted currency, which represents 1936 Lire for one Euro (1574 Lire per USD). The city of Salò is situated North-East of lake Garda. Today I visited Salò for an hour or two. Salò and surroundings formed an independent fascist republic during the end of the second world war, called the Republic of Salò. It was the last stronghold of Mussolini and his fascist government, the South being liberated by the Allied troops in 1943. In fact Salò was a puppet state created by nazi-Germany. Although some people think the republic lasted 120 days, due to Passolini's infamous movie; Salò, or the 120 days of Sodom, it lasted in fact 586 days, ending three days before Mussolini was killed by the partisans. Now Salò has turned into an elegant tourist place, but the pictures below, taken in a souvenir shop, are showing that some people are obviously still proud of the achievements of Mussolini. Note: in Germany selling and buying these items would be regarded as a criminal offense. Del Dolce or The House of Sweet. course of plastic surgery as well. It makes you wonder which republic are the people celebrating for; Italy or Salò? Seen in Bezzecca, Trento, Italy, a milk vending machine called 'Latteria' which offers fresh milk for € 1,- per Liter or $ 4.63 per Gallon, anyway cheaper than gasoline over here. On the left you can buy bottles too; € 0,60 or $ 0.73 for a glass bottle and € 0,20 or $ 0.24 for a plastic bottle, but most locals bring their own bottles or jars or send their children to fetch milk at any time of the day. As far as I know, apart from North Korea, unheard of in the world, Italy managed single-handedly as a measure of counter terrorism to turn the clock 20 years back, banning free wifi hotspots and limiting the maximum time of usage. 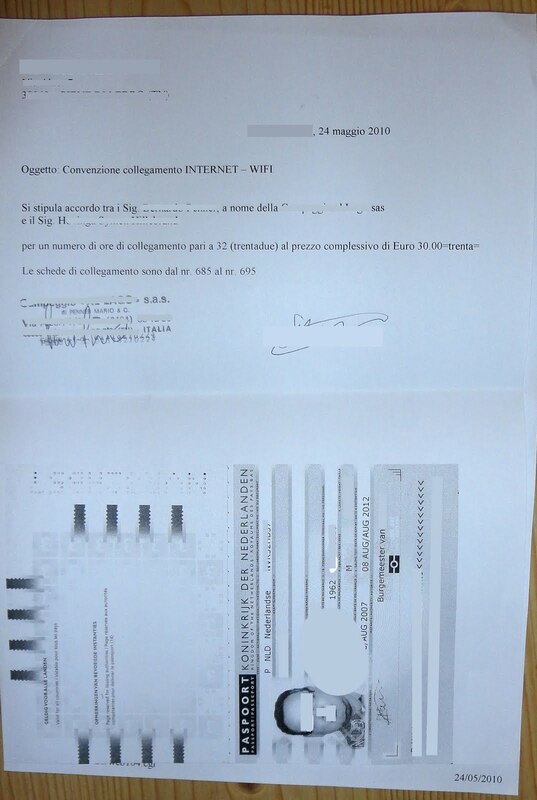 I was unaware of this fact till now, but the law, named after interior minister Giuseppe Pisanu, one of Berlusconi's henchmen, was introduced in 2005 after the London bombings and obliges the operators of public wifi services and internet cafés to keep a record of the identities of all their clients and a log of their internet traffic for possible consultation by the police. Before opening your laptop at a local hotspot, you have to purchase a unique username/password code which expires in 12 hours and can be used for a maximum time of 3 hours only. Also you will need to handover your passport or ID and sign a contract. How convenient for tourists like me when writing an email or blog in your room and being shut off in the night time; no new tickets for sale until the next morning 9 am. Because once you are logged in, your 3 hours will be valid for one month, I bought 30 hours for which I needed 10 unique usernames/passwords which took the owner of my apartment roughly half an hour to issue and it took me another 20 minutes to log-in/log-out all 10 users/passwords combinations to prevent expiration. Now I almost finished my fourth id/pw in two days so I'll have to purchase more in the shop in another two or three days. Well done Italy, even China and Vietnam offer free high-speed wifi almost everywhere you stay and mostly at each floor in your hotel, this luminous idea will surely give you a leading edge in the information based paperless 24 hours economy. What's next I wonder; banning free speech and should you be allowed to speak after purchasing the needed papers the duration will be restricted? And how to call this new Italian era: Denaissance? Taking in account this article and my previous article yesterday, will they come and get me now and bring me to an Italian Guantanamo Bay? Seen at a the restaurant in Italy below my apartment, the left two taps offer white and red wine. So from now on besides beer one can order wine from the bottle and draft as well. 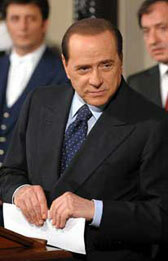 * Berlusconi was re-elected in April 2008. Seen at Fuji, a Japanese chain restaurant here in Phuket; a very inventive idea to combine a carrot with the ancient art of origami, folding it into a Crane bird. By the way I moved from Roi-Et Isan, to Phuket yesterday and tomorrow I will fly to Holland and drive on Saturday to the North of Italy, so busy days in the coming week, but in my spare time I will try to keep you updated. Call me stupid, I deserve it. Last week I fell for the trap. In many countries in Asia ATM machines will give back your card only after taking the money, where I was used to to first take out your bank card in order to get the money. You should know what is coming by now. In some situations it can be worse to forget the card rather then the money. Well, never mind, just be alert..
Last week in a moment of what must have been day dreaming, I actuall managed to forget my card after which it was most likely swallowed by a nasty machine. Big Blush! When coming to Thailand last year, an older German guy advised me never to use ATM's, since they were dangerously evil card hungry devices. I thought it to be an exaggeration and was well aware to take my card back each time, but I now had the AlTzheiMer stigma myself. I needed that card for online banking as well, since my Dutch bank requires a challenge-response device to confirm my ID, so transferring money to my newly openened Thai bank account was no option. Panic, what to do? Why didn't I bring a backup card? Some banks allow for transfer by phone, but mine didn't, stupid bank! Getting a new card meant that it had to be activated at an ATM in Holland first, after which a friend should have sent it to my hotel by mail. I decided not to wait for that, since I felt like a junkie waiting for his heroine. I did have a credit card intended as financial backup, but my monthly credit limit had been decreased, since I didn't sent a proof of income earlier. Begging the bastards to increase my limit didn't help either, rules were changed. Back in the old days, when we could not use bankcards abroad, I would just phone them to increase limits, now they refuse to do that and demand a proof of income which will take months to produce. After reading a story about a Dutch women, who flew back from Africa just to quickly activate her card, I had to control my nerves and fled to alcoland. Restlessness can sometimes be a good advisor. What about Paypal? Was it possible to throwing your money in Cyberspace and then safely take it out at the other side of the world? Fortunately enough Paypal was already being authorised to withdraw money from my Dutch bank. One nasty thing is that they do not allow to include foreign bank accounts to your excisting account, so I needed to create a second Paypal account, where I'm living in Thailand, linked to my Thai Kasikorn bank account. In Thailand, Paypal will verify your local bank account through your credit card statement, as opposed to Holland where they can also use your bank. The use of the anonymous Visa-card supplied by Kasikorn was not accepted, since it is a debit card and requesting a 'real' credit card was virtually impossible, since you'll need a work permit, steady income and other things I don't have. That's where a so-called K-web shopping card from Kasikorn comes in (Thank you, wonderfull people from Kasikorn helpdesk staff). 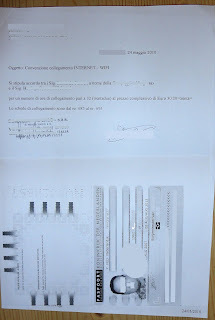 I requested the card online and it was issued the very next day. One unique stealthing property of a K-web shopping card is that it's 100% virtual and and apart from serious hacking attempts cannot be lost, stolen, or damaged. Actually it is some kind of low threshold workaround to be able to do internet payments without 'abusing' the card in shops or something like that. Kasikorn will even provide you with a 3-digit CVV code, which you need for any internet transaction. Take care; Air Asia will somehow not accept this virtual card, so I found out the other day and currently I'm not informed who does and who doesn't. So now, besides a regular credit card, I possess a 100% virtual Visa card as well a fully anonymous Thai Visa card. It's a strange world we live in. Blablabla. 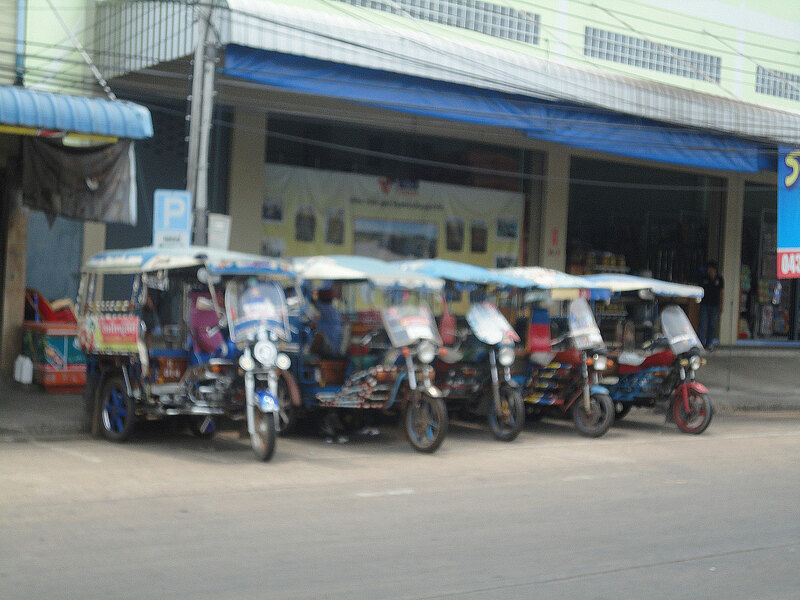 Anyway 5 days later (Update 6-12-2010: It now takes 10 till 14 days) the money arrived at my Thai bank account and I was saved. Big relief. The Paypal & Kasikorn construction saved me to lose face when borrowing money from local friends or asking friends or family back home to make Western Union transfers, an ultimate nightmare. Paypal will charge you a commision of 0.5% but at a higher exchange rate, still making direct bank to bank transfers the preferred choice. By the way, a good alternative for the Paypal construction seems to be Moneybookers, maintaining a ceiling of Euro 0,50 or 0.65 USD plus a fixed amount of 1,80 Euro or 2.35 USD per transaction, which seems to be cheaper than Paypal and they allow multiple banks in different countries within the same Moneybookers account. I don't know about the exchange rate of Moneybookers right now. But I do know someone from Holland who is using Moneybookers and Kasikorn enthousiastically for a long time now. Moneybookers will first require you to deposit the amount at their bankaccount. So far there are not many things I miss here, besides occasionally meeting my family, I do miss cats. Since they are not very much appreciated here. 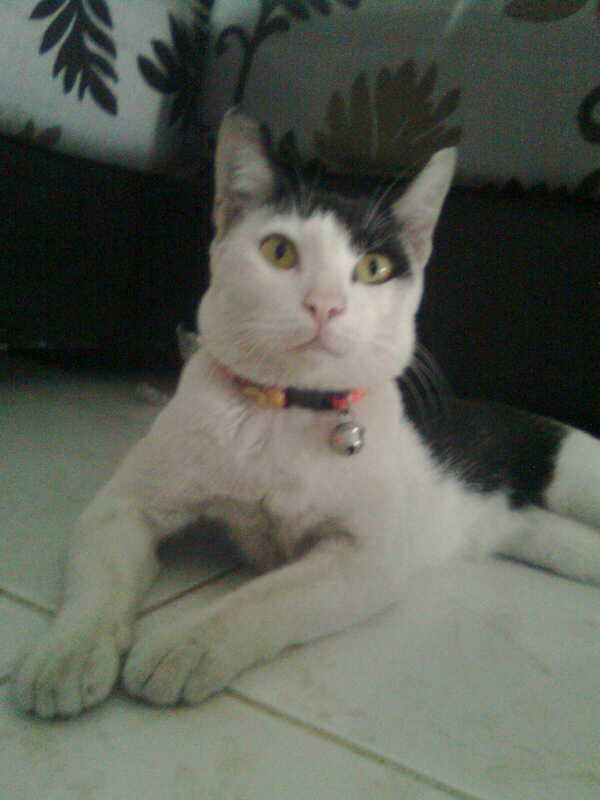 Most cats here are shy and will escape as soon as you try to approach them or attempt to lure them with food.. This cat formed an exception to the rule however. And after giving her some food and milk, it broke the ice completely and night after night she would sit purring loudly on my lap, how relaxing for me it was. In fact I already dubbed her Cindy; short for Cinderella, yesterday however a lady of the staff here felt pity for Cindy and brought her home after the necessary injections and anti-worm cure. My companion has gone and next week I will leave too, but I'm sure she is in good hands now. Last month my Movado watch was damaged by seawater coming in. Since it's being designed in 1947 under Bauhaus influence and is on permanent display in the Museum of Modern Art in New York since 1960, it is often being referred to as the museum watch. Movado seems to be Esperanto for "always in Motion" and in fact my watch still is in motion indicating the correct local time, the adjustment pin being corroded I'm not able to change the time anymore. According to the specifcations it could stand at least 3 meters or 30 meters under water, I forgot. My previous watch, which was exactly the same model, lasted for 19 years and I never took it off, and I regarded it as part of my body, until one day the same happened to me, salty water came in, since the rubber or leather inside around the adjust button will wear out making it possible for water to drip in. The model is not being made anymore, but on Ebay second hand watches or old stock from the USA are available, but part of them being used, they might have the same problem. I bought this one on Ebay last year and it looked like it had never been used before, not a single scratch but this time the life span was very short. Maybe after 20 years the time has come to get a brand new watch, sniff. If you stay in Thailand for a longer time such as I do or if you have a Thai girlfriend + family to support, you might consider opening a local bank account. First of all it saves you precious time, should your Thai girlfriend's buffalo suddenly have fallen ill. Moreover with the recent drop of the Euro versus the strong Thai Baht you will gain the freedom to transfer larger amounts at more favourable moments in time. When using the banks own ATM's, withdrawals are free instead of paying an additional ฿150 (€ 3.45/$ 5) bank charge each time. So what bank to choose? 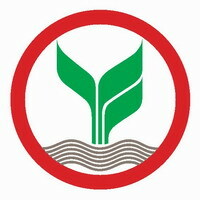 After inquiring various expats here and consulting the Thai expat forum, The prevailing bank of choice turned out to be the Kasikorn bank, formerly known as the Thai Farmers Bank, as their logo already kind of suggests, namely a rice plant in a paddy field. 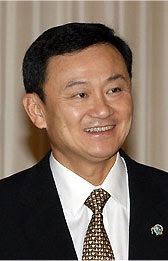 At first it didn't sound that convincing to me, but Thailand being the number one rice exporting country in the world and Kasikorn being the fourth largest bank in Thailand having an excellent English website, with a full internet banking service, who allows even top-up phone credit, convinced me. Also very important, they have an excellent English helpdesk in Bangkok. 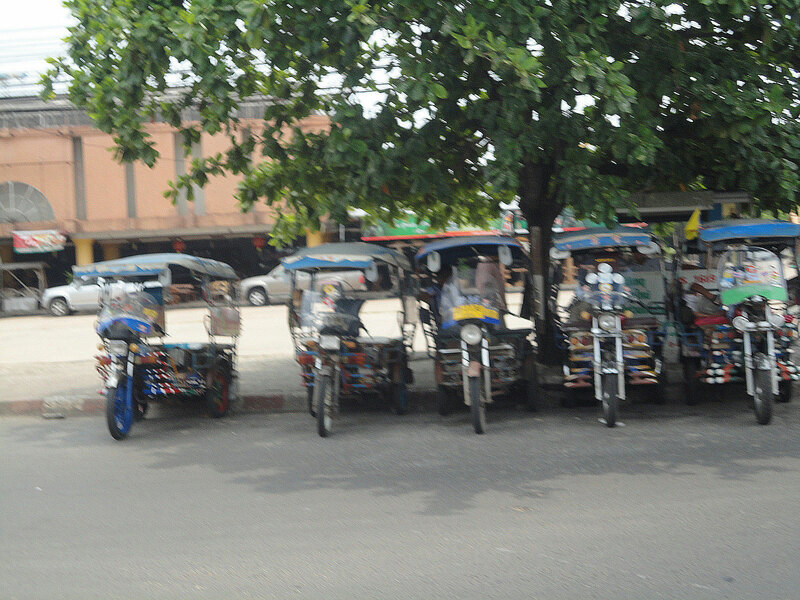 With 700 offices widely spread throughout the country, it's very easy to ask your taxi or tuktuk-driver to bring you there. The only problem at the local office is; no one will speak English, so be sure bring a Thai friend along. Can you open a bank account in Thailand without having a permanent address there? The answer is yes, you can! According to their website besides your passport you officially should bring proof of residence or a utility bill with your name on it, but no one asked me, I just gave the name card of my hotel and asked them to leave out the word hotel, which they did. Thai people being used to use a bankbook where every transaction is printed in, the bank will never send any bank-statements nor any other documents, so don't be afraid to have an angry hotel manager knocking at your door afterwards. Your bankcard cofunctions as an anonymous Visa credit card, which you can use in Thai shops. The maximum amount one can withdraw from an ATM is ฿50,000 per day (In 3 transactions, since the maximum withdrawal is ฿20,000 in cash per time). One expat told me he even had managed to use it successfully in a shop at Heathrow airport, the employee, probably never saw such a card, but the Visa logo confinced him to perform the transaction, requiring him only to show his passport, since the card was fully anonymous, but I guess this was an exception. Occasionally my room offers poor reception and being informed about a so-called aircard I bought one and tried it. An aircard is basically just a GPRS/EDGE modem, similar like connecting your cell phone to your PC, so don't expect any miracles. 3G is just in an experimental phase in Thailand, so in the mean time you just have to settle with it. I did perform some tests which showed that in fact even bad wifi (1-18 mbps) was outperforming the aircard. The good thing is that your connection will never be lost, which otherwise will require you to restart downloads, or to login again at MSN etc., so making it more like a wifi backup rather than a speedier alternative. Also should you be so adventurous to go to places where there's no wifi at all. It's a must. The aircard costed me 1500 Thai Baht, which is 26.50 Euro or 46.50 USD. When purchasing an Aircard make sure you bring your laptop or netbook along. The salesman, woman or ladyboy will usually go into a lot of trouble to get it working and will save you from a potential headache, because in case of problems you have to find out if the USB plug-in aircard driver software is not working and/or your SIM card. I first bought a 12Call card with 300 Baht credit, which was gone the same night, prices being similar like calling someone here locally for 5 hours or so. Much better is to buy a special DTAC SIM card for internet also called a Happy internet SIM card, which will cost you another 250 Baht (6 Euro or 7.75 USD). since physically a Happy internet Sim card is the same SIM card as a normal DTAC phone card, but when you buy, it will come with a different promotion on it. Please note that on the DTAC website you are able to create an account for your SIM card and besides checking your credit you can switch promotion, but strangely enough I was not able to 'upgrade' my normal DTAC calling card to Happy Internet, but vice versa I am able to 'downgrade' my Happy internet card to the different promotions of a normal calling card. If you only want to download something at a reasonable speed and resuming automatically after any interruption, a decent free alternative to the Aircard, is downloading a program called Bitcomet and use it for http downloads as well. The good thing is: it will look for others downloading the same file and use their resources as well, speeding things up. With a poor wifi connection which is often lost during download, it reconnects and resumes right where you where, in most cases this will be automatic, so you can leave it running through the night. Please take notice to register free of charge first, since downloads will be a lot faster after login and at some places I was even able to download several movies during the night. The good and bad thing is; for popular downloads; Bitcomet will practically steal all available bandwidth, making it impossible for others to have any speed left. The other day an Australian guy stepped on my power plug which was connected to an AC outlet at the floor of the coffee-shop here, damaged my plug and without apologizing, he went over to book his ticket back to Aussie country and tried to impress girlfriend how clever he was in doing that. I didn't comment on his bad behaviour. I just used Bitcomet to download Photoshop which I already bought before, but was not installed on my netbook anymore. It's wicked, I know, but downloading Photoshop at 300kbps, I so much enjoyed hearing him tell his Thai girlfriend with an irritated voice, why the internet was suddenly so slow, and it took him ages to book. Oh how sweet revenge can sometimes be.. Recently I found an excellent solution for making calls to my home country. The problem with Skype is that they use the existing (wifi) connection, which isn't always that good in each country and in every hotel especially not in every room and will result in fragments of slow video, if any and fragments of your words being erased or being inaudible, where at the same time you can the hear the other person quite clear. This is because no matter where you are, the upload speed will always be slower than the download speed. And should you make calls to banks, credit card companies, official instances, etc. video and miscommunication are the last things you need. 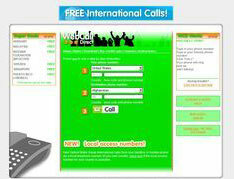 Here's where WebCallDirect, a German company comes in. Apart from their web based service, they have a small downloadble application. All you have to do is enter the receiver's number or choose it from your contact list, wait a moment and you will be called on your cellphone. Soon after when you pick it up, you will hear the receivers phone ringing on the other side, and once they pick it up you're in contact. Since you are not using the wifi connection anymore, but fast local servers, there's little delay and the quality is in 95% of the cases excellent on both sides. Also your phone number will be visible to the receiver, so they will not even know you are using the service. I also noticed that the delay time is shorter as well, making it easier to communicate. Best thing: calls to overseas is very cheap indeed, cheaper than the alternative that Skype offers. For example calls to landlines in the Netherlands are free at this moment if you are just using your PC with a headset, but limited to 300 minutes or 50 hours per 7 days, which should suffice, but again you will be calling from your PC, similar to Skype with a possible bad connecion. 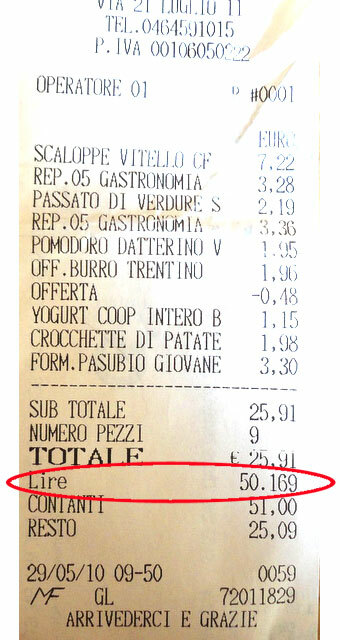 WebCallDirect will charge you a mere € 0.01 or $0.0127/min. if you are calling with your mobile phone to their local server. And since I like to be mobile and want to be sure to sure to keep a high quality, this is my preferred choisce. 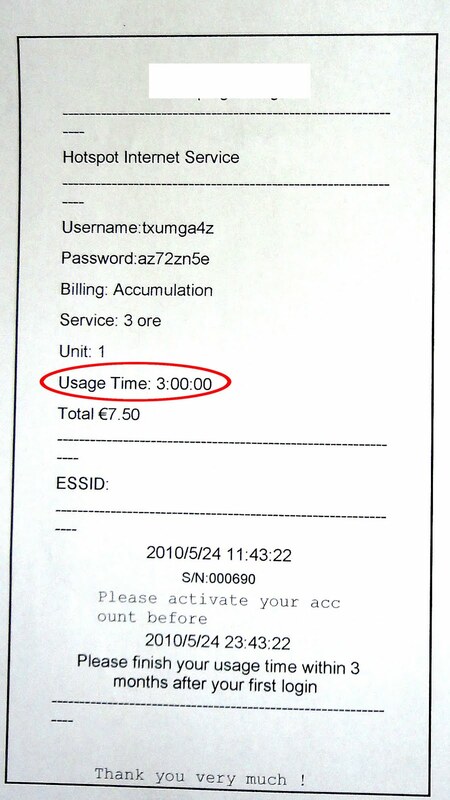 Calling a cell phone in the Netherlands will cost you 0.086 Euro or 0.122 USD/min. 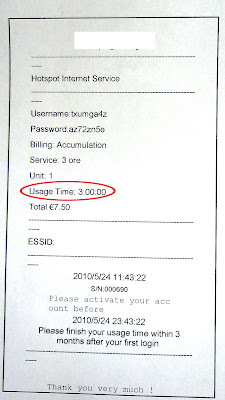 plus the optional costs of your mobile call (€0.01). All and all more than 50% cheaper than Skype with a more or less a guaranteed voice quality. If you like to use your phone instead of a computer + headset, it's better to buy a second phone with a local SIM card. this is the perfect solution for all. So should you worry what power-plug adapter to bring to Thailand... No need, except when you live in the UK, Australia, New Zealand, Pakistan, Kenya, Ghana or Nigeria. Seen in Amphawa, near Bangkok This elephant is expected to provide his owner the nescesarry income i.e. tourists paying money to make photographs. 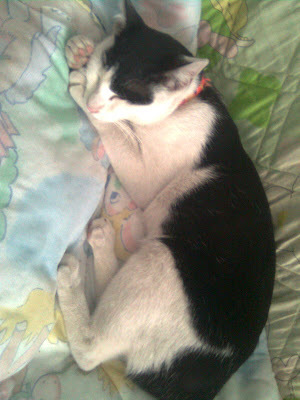 But while I was there, all attempts to get him back on his feet again were in vain.